Concerns about inadequate patient hydration and suboptimal monitoring of fluid balance have been documented in recent reports. The Fluid-balance Improvement Project at Central Manchester University Hospitals NHS Foundation Trust was undertaken to identify risk factors influencing hydration and to implement a revised process to manage these risks, resulting in the development of a hydration pathway. 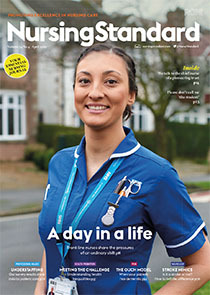 This new approach to monitoring patient hydration, together with staff education and support, has resulted in improved compliance with fluid-balance monitoring standards, as well as significant improvements in identifying patients at risk of dehydration, and an increase in patients with acute kidney injury correctly beginning fluid-balance monitoring.